On a daily basis, dry eye is one of the most common problems we see in our office. Patients may report a variety of symptoms which can include a gritty or sandy feeling, foreign body sensation or even intermittent blurred vision. In addition, these symptoms may be worse when awakening in the morning or at the end of the day. Our environment or activities may aggravate the situation. Windy or dry air conditions can make these patients worse. Outdoor activities like jogging, biking and other sports without proper eyewear may exacerbate the situation. Excessive reading, computer work or driving long distances are activities with increased concentration and staring which may cause some dryness. Wearing sunglasses will help block the wind for our active patients who enjoy the "outdoors". Taking more breaks when reading or performing computer work can help as well. The use of over the counter artificial tears can be useful. 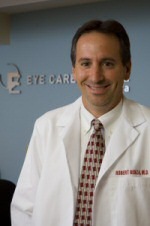 There are many other treatment options we have for dry eye patients. Consult your eye physician before using any eye medications. I will forward your current commentary along to some kind of of my friends who R always health and safety informed. I am sure they will be thankful for it.